Over the years, I have worn many hats and told many stories. This story is perhaps one of the most important. It’s the story of how I learned to become my child’s advocate. And it was part of my own journey in special needs advocacy. I was 16 when my oldest was born in 1998. I was 17 when I attended his first coordination meeting for his early intervention services. I was 18 when I attended my first IFSP meeting. Needless to say, I felt a bit out of my element. I was a teenager, still in high school. I should have been planning for prom. Or what I was going to do that weekend. Or, let’s be honest, what I was going to after I got home from school. But my reality was different. I was already a mom. I already had responsibilities that were much bigger than myself. It was this experience that would shape and prepare me for what would come ahead. 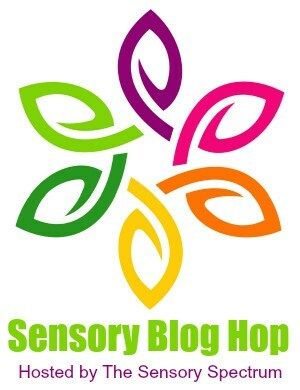 Not just for my son, but also for my non-verbal autistic daughter. It wasn’t until she had gone through the early intervention process and was in the IFSP process that I started to find my role. It wasn’t until her IEP planning meeting when she was around the age of 8 that I would start to embrace my role. It wasn’t until her IEP planning meeting when she was around the age of 11 that I would start to own my role. The Christmas before my daughter turned 11, was the same Christmas that I made a mall Santa Claus cry. I don’t say this to brag, but I say it because that truly marked a turning point. I had asked Santa for a voice for my daughter. Little realizing that she already had one. That she didn’t need another one. She had her communication systems in place, that much was true. But I was looking for more. I was looking for confirmation that someone was going to speak up for her. That someone was going to look out for her. In reality, all I had to do was look in the mirror. I was already speaking up at her meetings. I was already questioning why certain things were in her IEP. I was already becoming more of a voice. And it was in that moment — that aha — that light-bulb moment … that was when I realized it. 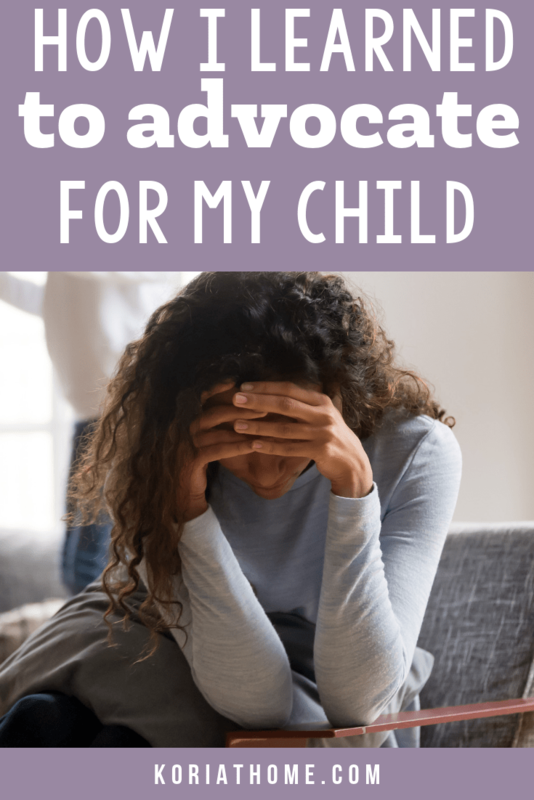 I am my child’s advocate. It was after this incredibly important mindset shift set in that more things began to change. Instead of just being a meeting attendee, I was an attentive and active participant. 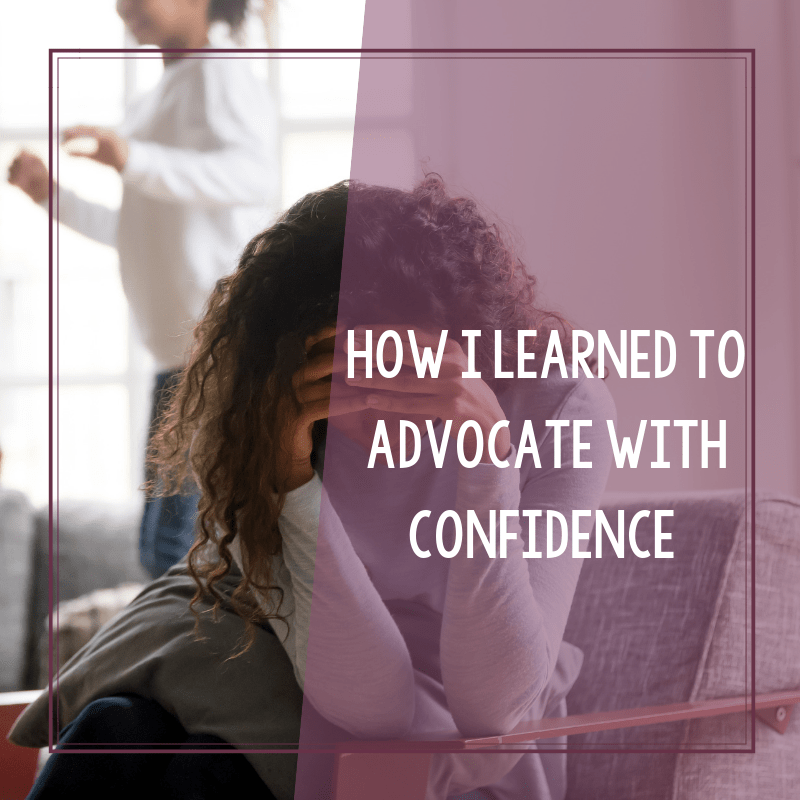 Instead of just being an active participant, I was becoming a confident advocate. I was embracing this role and continue to embrace this role. You see, it was all about my mindset. There was more beneath the surface, of course, but it was this mindset shift. This confidence. It was the realization that yes — I am an expert. It was the realization that yes — even among the professional seated at the table? I still know my child best. It was the realization that yes — I am contributing. It was the realization that yes — I had the ability, the means, and the wherewithal to make changes. But this took me some time. It didn’t quite happen overnight, I admit. But, once it happened? Things really started to change. I no longer felt like I didn’t matter. I no longer felt that my voice was going unheard. I no longer felt like just a participant or just an observer. And that, my friends, was an incredibly life-changing feeling. All this wisdom and you started your parenting journey early! Beautiful words. Clearly you are a fierce and wise advocate. I don’t want to say your daughter is lucky, because we ALL deserve justice and equality, so I will say you are lucky to have each other. <3 <3 <3 much love to you and thank you so much for your kind words!